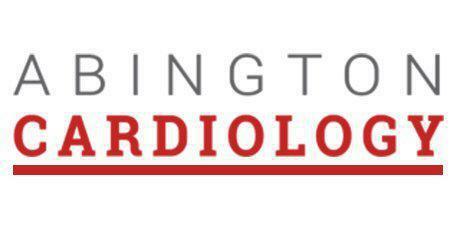 Dr. Meshkov and his team at Abington Cardiology in Jenkintown, Pennsylvania, routinely rely on echocardiograms to diagnose cardiac conditions and overall heart health. Using ultrasound imagery, echocardiograms reveal the size of heart chambers and the condition of heart valves. Health of the pericardium – the lining around the heart – can also be determined through echocardiogram readings. What can an echocardiogram reveal? As well as valve problems or issues with the heart’s chambers, the type of echocardiogram performed produces different information that Dr. Meshkov may require for diagnosis or treatment. There are four common types of echocardiograms. What are the common echocardiogram types? The transthoracic echocardiogram is the standard test used in most cases. The sonographer spreads gel on the patient’s chest and presses the ultrasound transducer against it, in much the same way as prenatal ultrasounds. In this case the heart is the target. The sound waves from the transducer echo off the heart, creating a moving image on a video monitor. In some cases, a contrast liquid administered through an IV creates a better image of the heart’s structure. For a better look at how blood moves through the heart, a Doppler echocardiogram checks blood flow speed and direction. Used in combination with transthoracic methods, the evaluation of Doppler signals reveals detail that the basic echocardiogram doesn’t. When a clear picture of the heart isn’t possible, or if Dr. Meshkov wants more valve detail, a transesophageal echocardiogram may be done. This involves a transducer in a tube that’s inserted into the esophagus through the mouth. This technique calls for minor medication for numbing the throat and relaxing the patient. When heart problems occur only with physical activity, transthoracic echocardiograms may be taken before and after exercise, such as riding a stationary bike or walking on a treadmill. For patients who can’t perform such exercise, medication may be used to stimulate the heart into harder pumping. This technique is a stress echocardiogram. Are there risks involved with echocardiograms? With a standard transthoracic echocardiogram, the greatest risk is the removal of the electrodes from the chest, which is like pulling off an adhesive bandage. The transthoracic echocardiogram itself has no risk. During a stress echocardiogram, the exercise or medication may create a problem, depending on the patient’s health, but the echocardiogram procedure won’t aggravate this. Transesophageal echocardiograms may create sore throat symptoms for a few hours, but otherwise carries little risk.